Residential design is a process that results in a new interior space (such as a bathroom or a kitchen), or an entirely new custom home. It involves a certain psychology and understanding of human behavior and the way human beings interact with their surrounding spaces. The process of residential design includes a contract that specifies details about design, construction and pricing obligations. 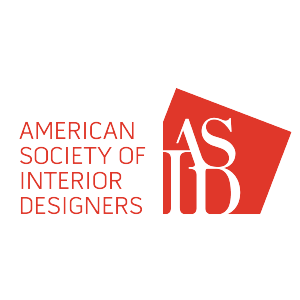 Homeowners who plan on interacting with an interior designer or architect, can benefit from exploring residential design related concepts before the residential design meetings begin. Each project can be as different as is the client. 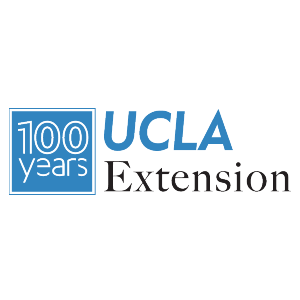 Historic Renovation & Preservation Construction MGT. Commercial Design is an area of Interior Design that is varied and extremely code specific. It provides an outlet for many different types of Interior Design. Unlike Residential Design which requires an intimate interaction between designer and client (with a client’s own personal tastes in mind), Commercial Design must meet project challenges head-on with specific design solutions that are well-suited to corporate branding and customer related activities - including customer service. 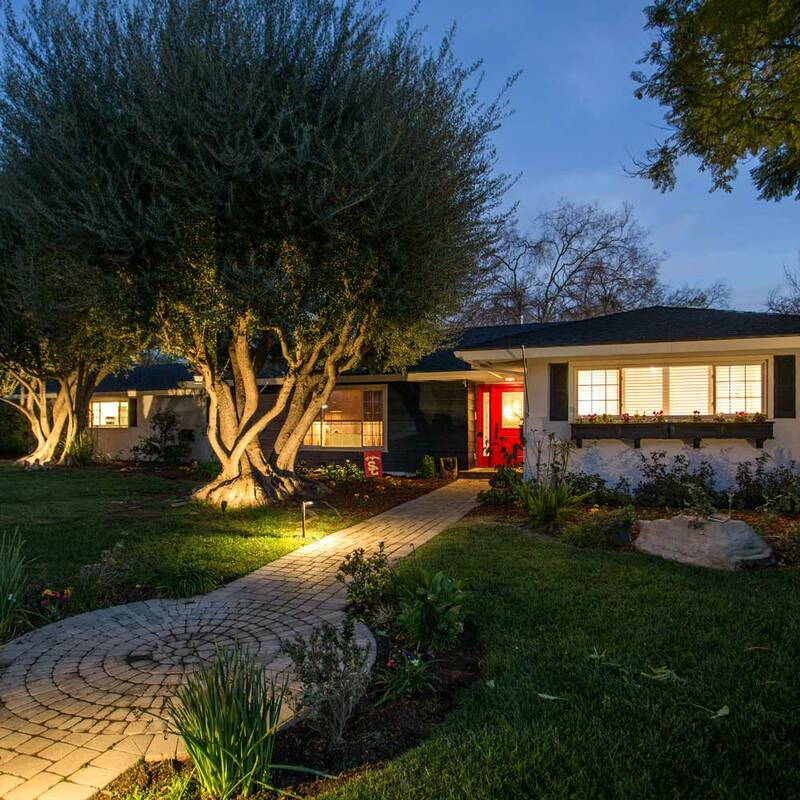 Built in 1950, this ranch home, nestled on a hilltop in La Habra Heights was restored from top to bottom. An emphasis was placed on maintaining the home’s quintessential mid-century design, observing its horizontal lines, many windows, and easy open flow from room to room. 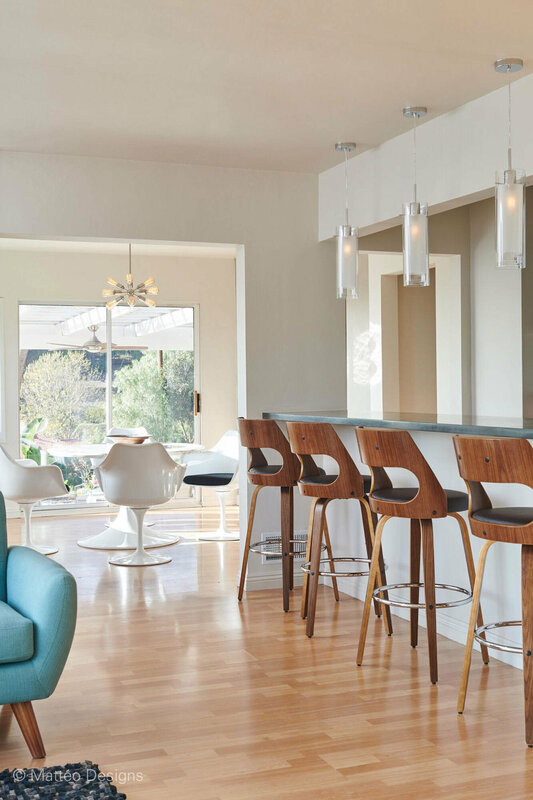 We included iconic furniture with curves, polymorphic lines and geometric shapes that reflect the clean, unfettered look of the house -- foregoing anything that might be perceived as busy, or having highly ornamental details. On a mesa below the pricer South Hills Estates, the California Ranch is the favored look for the neighborhood in which this custom home was built in 1952. The goal for this project was to marry 1,500 square feet of a newer farmhouse design to the original 50’s architecture. The challenge was maintaining the home’s architectural integrity and equestrian ranch ethos, while providing modern amenities. The success of this project was in achieving the client’s preferred farm-house style, while giving the impression that nothing had been touched. The newly single owner had just downsized from a 5,000 square foot historic home to this home, which is just under 1,500 square feet (including the newly added basement). 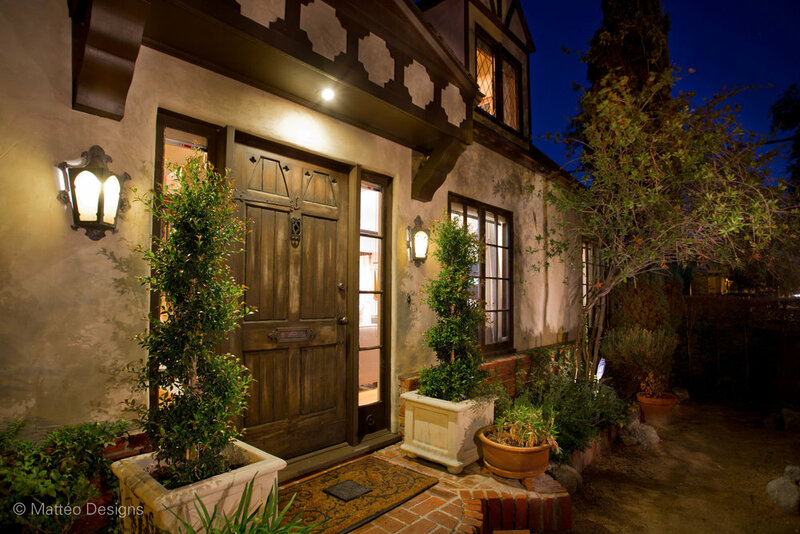 Since the home sits on one of Glendale’s smallest lots, we took advantage of every nook and cranny on the inside and every inch of the outside — using as much of the owner’s possessions as possible. We designed a beautiful period kitchen and a wine /reading room in the basement. We included a large custom sectional in the living room and converted the room into a multi-media center with the latest in AV equipment (including surround sound). 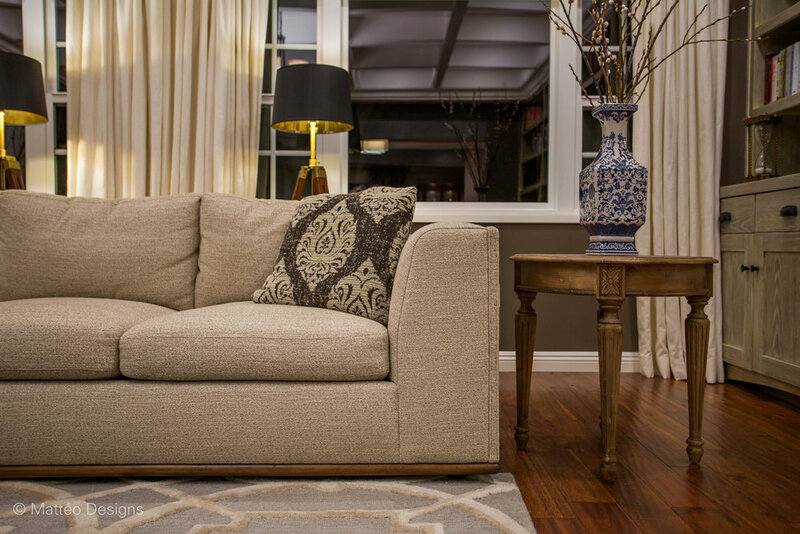 The result is a transitional design with just the right amount of elegance and casual sophistication. 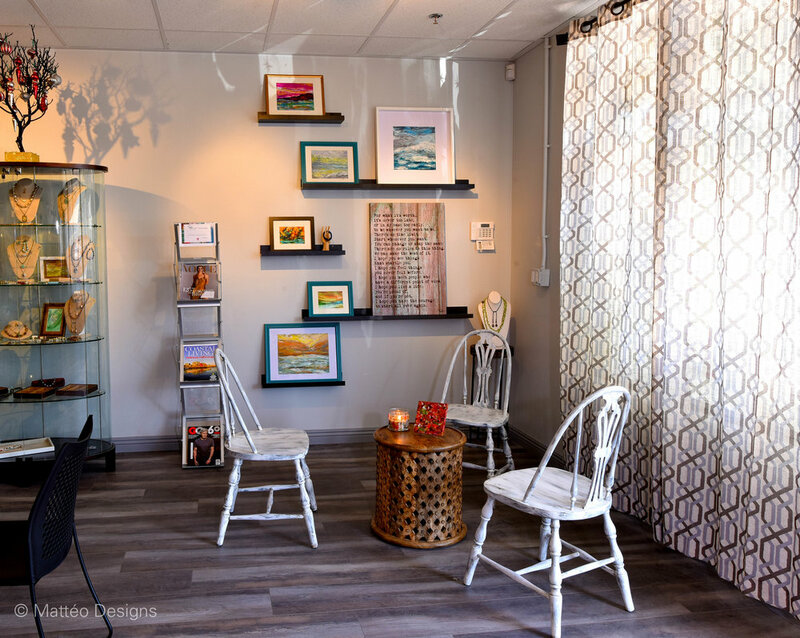 Studio Hope is a multi-functional center located in Glendale CA. It is a space where folks can socially gather in the name of charity and community outreach. It has an open concept design which can accommodate many different functions, including crafting, group meetings, catered affairs and chartered events which are supported by the bylaws of the Renal Support Network. This office is in a high-rise 1980’s building. The design challenge was to improve the dated 80’s design, while maintaining as much of the original office amenities as possible. We provided a soothing zen-like color palate and carried this throughout the office with coordinating carpeting, paint, sliding doors and wall textures. 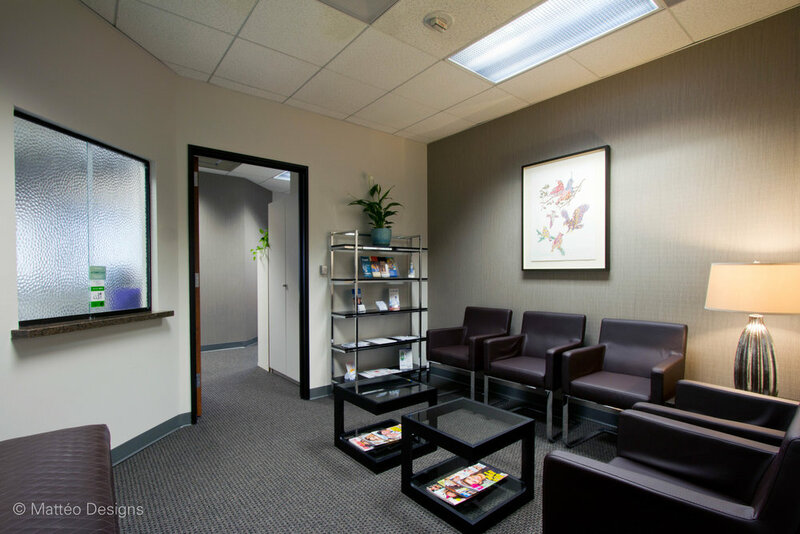 We designed custom office seating, a custom desk for the private office and modern furniture throughout. 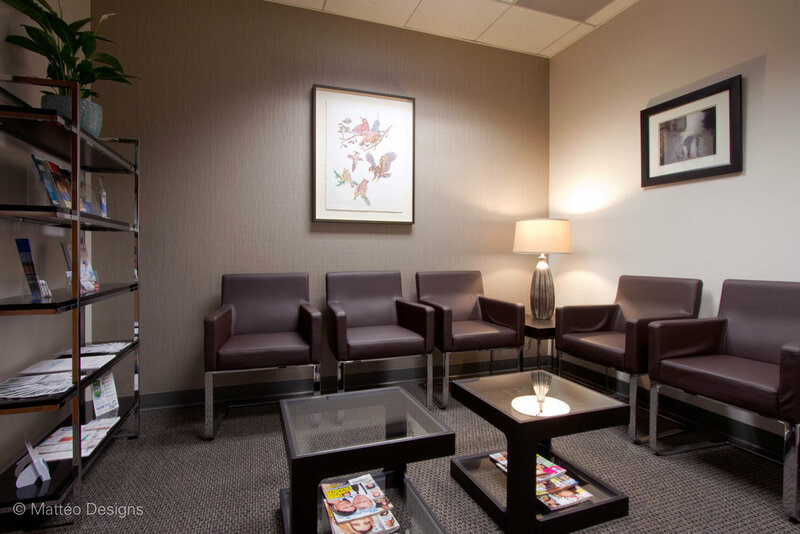 We included photography and art from the doctor’s own personal collection and this gave the office a certain ‘residential feel’ which is often lacking in many doctor’s offices.